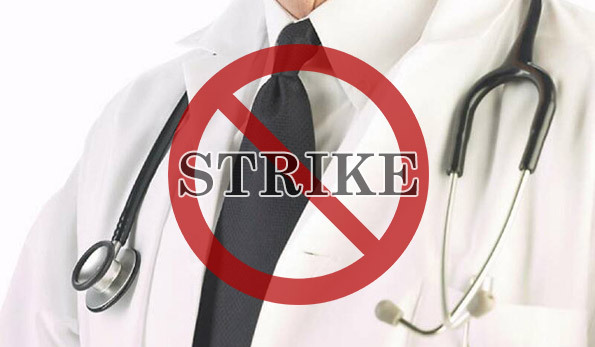 The Government Medical Officer’s Association (GMOA) will strike from this morning, GMOA Secretary Dr. Haritha Aluthge said. He said that only an intervention from the President can stop the strike or it will continue for the next 24 hours. The strike is to ensure the long term well being of the people and betterment of the country. Dr. Aluthge said all Out Patient Departments (OPD) and clinics will not function. All surgeries which are not urgent and scheduled long ago will not be performed. All activities which are not emergencies will be halted inside wards. All activities inside Emergency Treatment Units (ETUs) will function as usual without any interruption. All GMOA doctors will engage in emergency treatment.All children’s, maternity, cancer, kidney and army hospitals in the country including the Kidney Treatment Units will not strike, he said. Do they continue their strike in private hospitals too?